Welcome to the introductory edition of Cocktails, 365’s weekly cigar review – Tobacco Thursday. Each cigar is paired with a spirit to bring out the flavors in both. Each week we’ll feature a different stick with a quick and dirty review that’s sure to get you set up for the weekend to come, and any smoking you may want to enjoy. Country: Wrapper – Honduras. Binder – Honduras. Filler – Honduras. Scent: Bright, grassy smell. Clean. Hint of oil. First Light: First pull is bright and earthy. There’s a bit of a tight draw, but not one that’s difficult. Strong, woody flavor. Halfway Through: As the cigar progresses, the smoke becomes much headier. There’s a distinct oil from the maduro wrapper and heavier filling and binding. 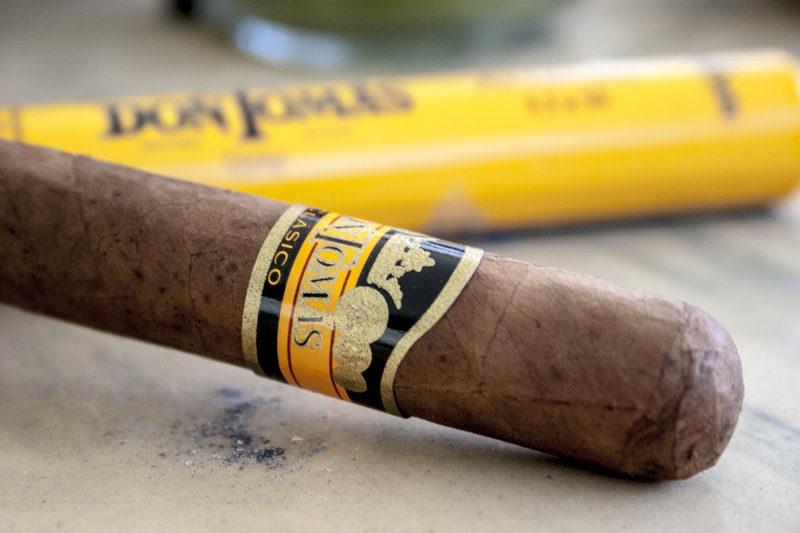 Final Third: As you push down to the base of the cigar, the flavor becomes increasingly stronger. The carbon really pushes through, which was absent through the rest of the cigar. Somewhat uneven burn, but not distracting. Verdict: At less than $6 a stick, this is one outstanding cigar. You can get the full-flavors of a high-quality smoke without shelling out the money for a showy brand name. Paired Spirit: Don Julio Añejo. The heaviest of the Don Julio tequilas, the black pepper flavors of the Don Tomas bring out the sweeter notes in the Don Julio. The aged Don Julio holds up well to the full body of the cigar.